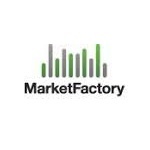 One of the leading providers of software and services for foreign exchange brokerages, MarketFactory, announced that it has appointed Steve Toland as its Vice President of Sales. Mr. Toland will be focusing on continuing the global expansion of MarketFactory’s market access and limit monitoring technologies. Mr. Toland joins MarketFactory from the LMAX Exchange, where he was Head of LMAX Interbank and played an important role in the creation of the company’s interbank liquidity pool. He has previously held senior sales roles at ICAP’s EBS and Thomson Reuters. As FX markets have become increasingly fragmented over the recent years, MarketFactory has delivered solutions to address concerns over how to manage risk effectively, including innovative pre-trade risk controls that prevent so-called “run-away algos”. Its real-time Limit Monitor enables clients to use one net open position (NOP) measure across all venues with minimal impact on latency.